I’m a sucker for not wasting anything… call me cheap, call me frugal, whatever… I can’t throw stuff away if I find that it still has use left in it, even if that use is not what it was intended for in the first place! So, I have TONS of leftover Playtex Drop-In Disposable Bottle Liners that just never got used when my kids were taking bottles… I couldn’t return them to the store, so I had to figure out a way to re-purpose them. I also have a bunch of wooden Popsicle sticks! My kids eat smoothies in the summer… A LOT OF SMOOTHIES! Ever since we burnt out two blenders making baby food & my husband got me a Vitamix (Heaven I tell you! ), I’ve been blending like a maniac! I never add sugar to my smoothies (a banana or two does the trick just fine! ), so I am not opposed to giving them to my kids as often as they want! 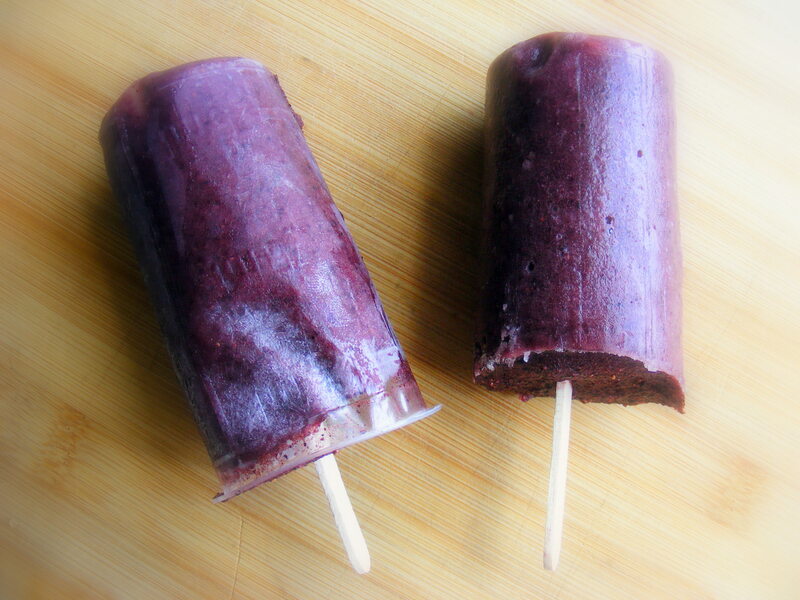 We have smoothies for snacks, smoothies with meals, smoothies as Popsicles! Yeah! I really want to try this Sweet Potato Smoothie from Money Saving Mom! Doesn’t that sound delicious! Whenever I make a smoothie there is usually some leftover. So, I press a popsicle stick into a chunk of fruit (banana, apple, pear, watermelon…), put that into the bottom of a liner so the stick stands straight up, then fill the liner half full (or full… as my kids will eat a LARGE Popsicle with no hesitation)! Then I stand those up in a container & put them in the freezer. After they are frozen, I take them out & put them in a ziplock, or just on a shelf – they’ll get eaten fast enough! I have three eating popsicles now, and having a shelf full is a must for us! In this way, I always have a supply of nutritious popsicles during the summer! And they often have spinach, carrots, cucumbers, broccoli! You can put soooo many veggies in a smoothie, disguise it with fruit, and vwalla… a nutritious treat for everyone! The best part for my frugal-lishious self, the liners are reusable since there is no heating involved. I put them in the top rack of the dishwasher or just rinse by hand for the next time! What is your favorite smoothie concoction?